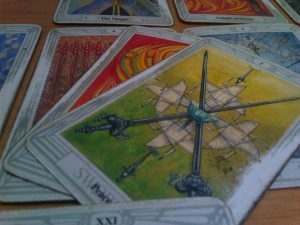 Major vs Minor Arcana Tarot Cards: What's the Difference? Major vs Minor Arcana Tarot Cards: What’s the Difference? 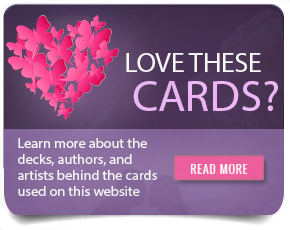 Still trying to wrap your head around the concept of Major Arcana and Minor Arcana tarot cards? A typical Tarot deck contains 78 unique cards with varying suits, elements, classes, and faculties. While there are several different variations, all tarot cards fall under two main categories – Major Arcana or Minor Arcana. Also known as the Lesser Arcana, the Minor Arcana is comprised of four suits (just like a deck of regular playing cards) – Wands, Pentacles, Cups and Swords – each of which has 14 cards. Each of the 56 total Minor Arcana cards is numbered from one (ace) to ten. (Note: We are excluding the court cards in this part as the court cards are similar to face cards, which we will discuss in a moment). When a card from the suit of Wands appears in your Tarot reading, it usually symbolizes matters that we are most passionate about. It can be about creativity and taking action and connects to the element of fire. The suit of Pentacles is connected to the element of Earth and symbolizes concerns related more to Earthly and material concerns (money). Cups are associated with water and symbolize emotions … feelings as related to love and relationships. Lastly, the Swords suit symbolizes thought, rationality and intellect. This suit is connected to the element of air. The Major Arcana, on the other hand, is comprised of 22 cards in a single suit. They are used as “trump” cards, meaning they outrank cards of the aforementioned suits. The Major Arcana cards usually indicate a major event or change in a person’s life. This makes sense considering the fact that Minor Arcana cards outnumber Major Arcana by more than two to one. So when you pull a Major Arcana card, you should view it as a sign of something larger taking place in your life. The Major Arcana cards are numbered from 0 (the Fool) to 21 (the World/Universe), each of which has a different meaning. The 6th card (the Lovers), for instance, symbolizes relationships, heart-felt emotions, and temptations, whereas the 19th card (the Sun) symbolizes warmth, hope and security. Unlike the Minor Arcana, which are used to reveal events, problems, and people, the Major Arcana are larger in scope and generally reveal energies that are affecting our lives and the human experience on a larger scale. To recap, a typical deck of Tarot cards is comprised of 56 Major Arcana and 22 Minor Arcana cards. The Minor Arcana cards are used to reveal small changes and happenings in a person’s life, whereas the Major Arcana are larger and more meaningful influences. When you are enjoying our Free Online Tarot Card Readings, pay close attention to see whether the cards in your reading are Minor or Major Arcana as this will aid you in interpreting your Tarot reading. 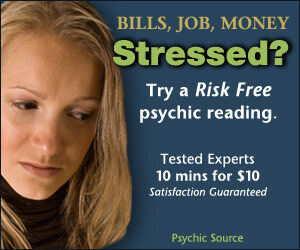 Get a LIVE READING Right Now!